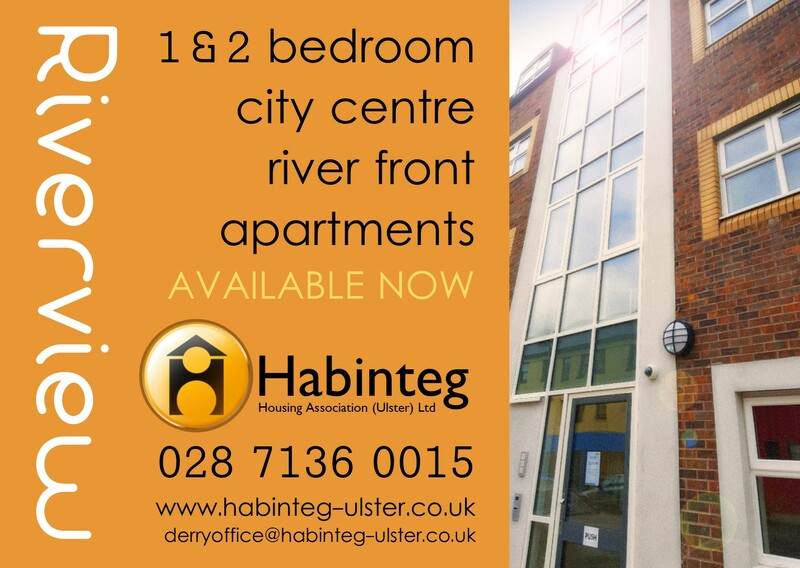 We are delighted to have completed the refurbishment and reconfiguration of our apartments at Riverview on John St, Derry. 20 x 1 bedroom and 2 bedroom apartments were completed on 9 June 2016 in a high demand area of the city. The Association invested almost a quarter of a million pounds in the refurbishment and reconfiguration of building into apartments for much needed general needs accommodation for households on the waiting list. The apartments are monitored by CCTV and residents can avail of a Concierge/Support Worker service which is available during normal working hours and from 21:00 to 2:00am at weekends.